Laser eye surgery, also known as LASEK or LASIK, depending on the type, is surgery that is in the most used for cosmetic surgery, used to reduce the need for contacts or glasses and restoring 20-20 vision. It has grown to be a very popular procedure, as it is quick and reasonably affordable, particularly because many providers will offer special deals and flexible repayment options. With many clinics available across the United Kingdom, finding and choosing an eye surgery clinic that is suitable for you is simple. Optimax is a specialised clinic that pride themselves on being the UK’s number one. They offer unbeatable prices, unbeatable results and a life time aftercare included in the costs of the procedure. In order to be eligible for Optimax eye surgery, you need to be over 18 years old and have healthy eyes. They claim that almost everybody that needs either glasses or contacts should be able to use eye surgery to regain their full vision. Costs for the surgery depend on the strength of your prescription and the type of procedure you want to use and is most suitable for your eye. 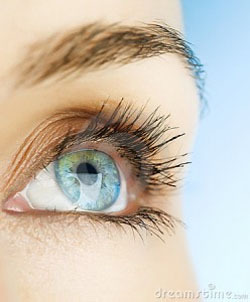 The most expensive package is the Intralase Wavefront Lasik, which includes Lasik, Wavefront and Intralase. For a mild prescription, this would cost £1285 per eye or £1995 per eye for a very high prescription. They regularly have special offers on though, meaning the costs could be greatly reduced. Optimax can be found in 23 locations nationwide, including both England, Scotland, Wales and the Republic of Ireland. They have three locations in the English capital. London Canary Wharf, London Liverpool Street and Cardiff and consultation clinics only, meaning you would have to go to one of their other clinics for the actual treatment if you decide to go ahead. Optimax also have open days every three months to allow people to meet Optimax staff and patients, helping them to be fully informed before making a decision. Consultations are performed by qualified Optimax Eye Surgeons, who are all registered with the General Medical Council. So, if you are considering having eye surgery, Optimax eye surgery clinics are a very good place to go to. They have clinics across the country and offer a variety of ways for you to become comfortable with both the procedure and the clinic. Furthermore, they offer all the different types of treatment, including the latest Intralase Wavefront Lasik. As they also regularly have special offers on, prices can be very competitive. Most importantly, all their surgeons are fully qualified and they are registered with the General Medical Council and often also with the Royal College of Ophthalmologists, giving you the peace of mind that only fully qualified medical staff is performing surgery on your eyes.